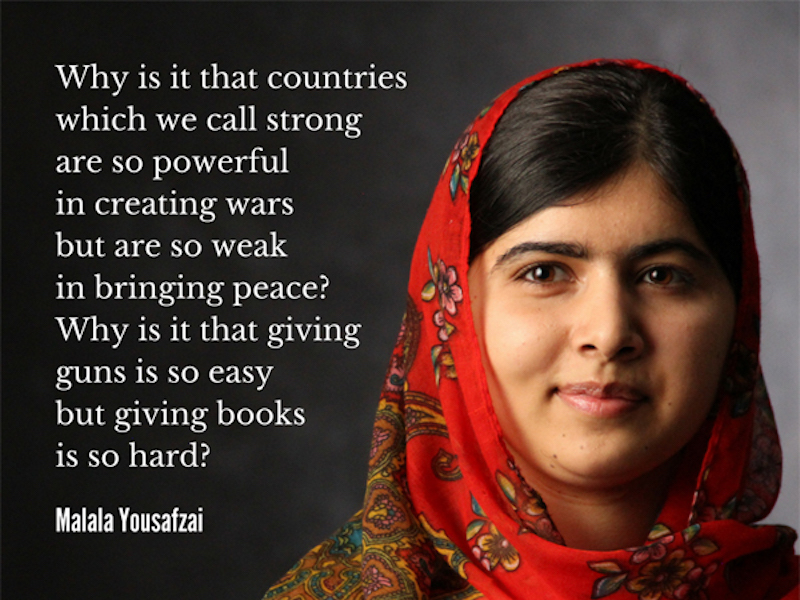 Show your support for peace. 100% cotton, made in America, union-made, locally printed. Suggested minimum donation: $20 $10. 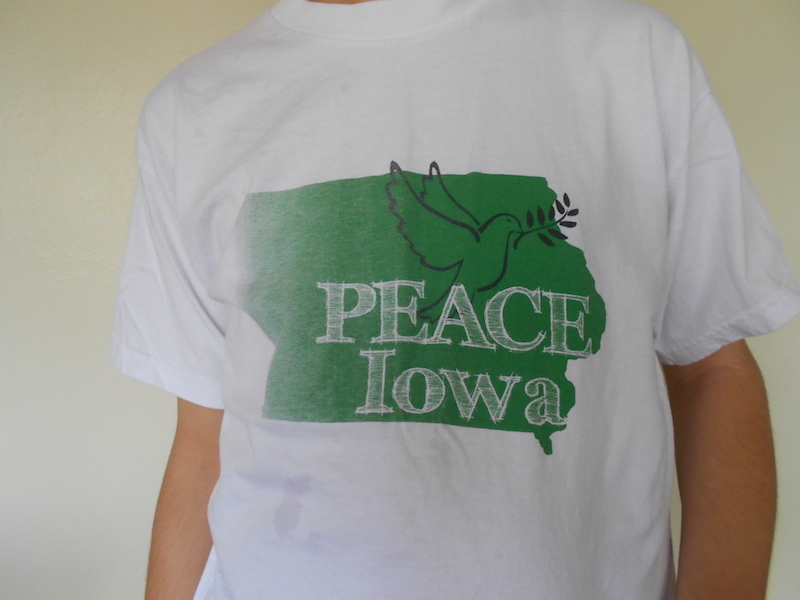 Available at the PEACE Iowa office, and at some events. 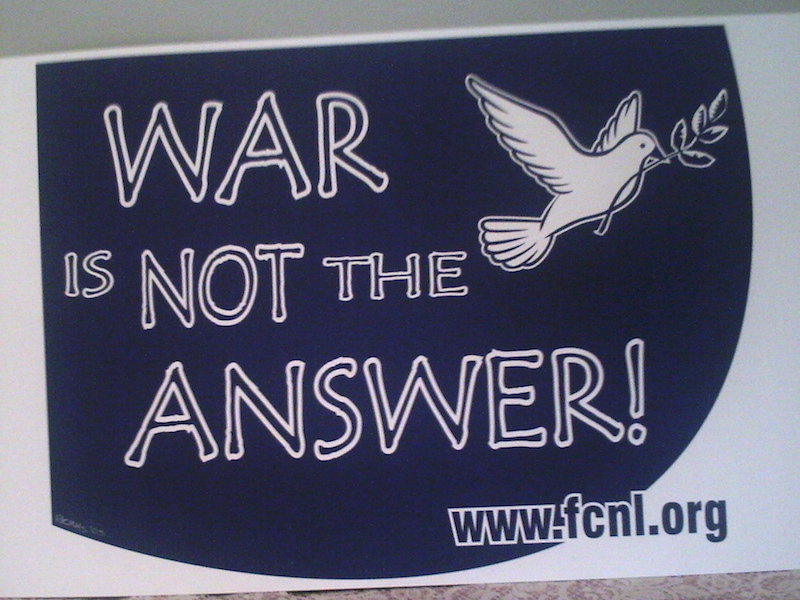 Peace-themed bumper stickers are available at the PEACE Iowa office, and at some events. Suggested donation: $2. We have just a few yard and window signs left in our office. 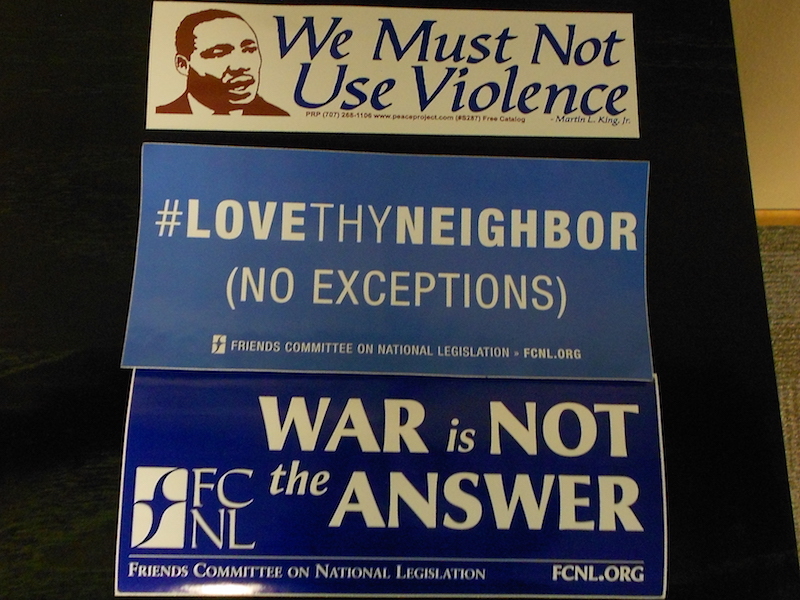 Suggested donation: $5 for yard signs and $3 for window signs. 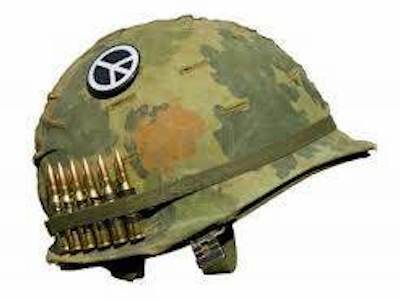 Peace-themed buttons are available at the PEACE Iowa office, and at some events. Suggested donation: $1. 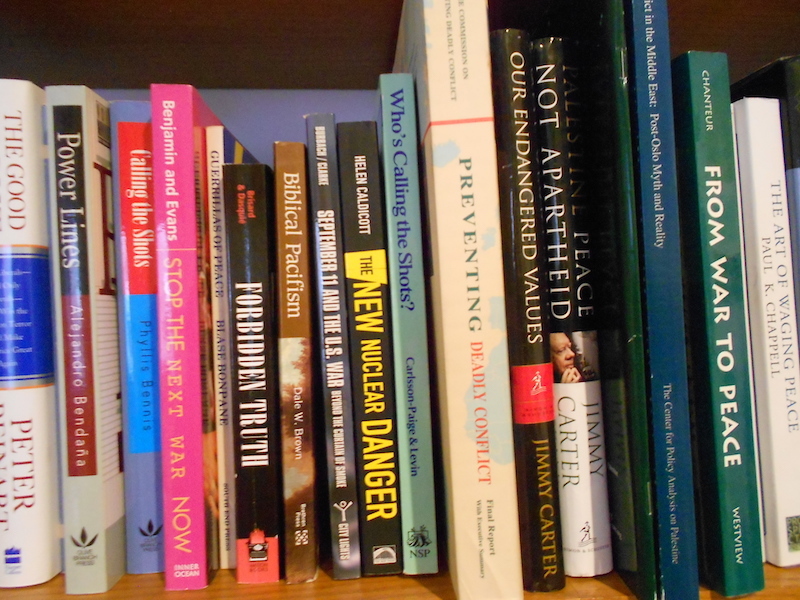 The PEACE Iowa office contains books, children's books, and a few DVDs about peace-related subjects. These materials may be checked out by community members. Support Palestinians trying to earn a living under occupation. 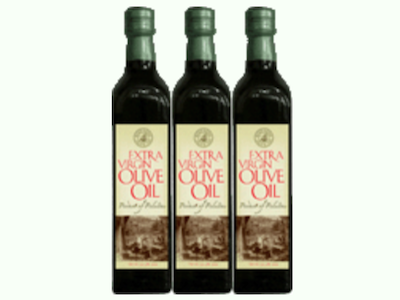 Holy Land Olive Oil is available in December and January. Suggested minimum donation: $15 for 500ml and $20 for 750ml. PEACE Iowa recommends mediation for cooperative and peaceful conflict resolution. 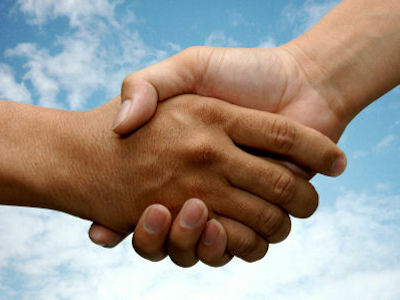 See Mediation Services of Eastern Iowa for more information. 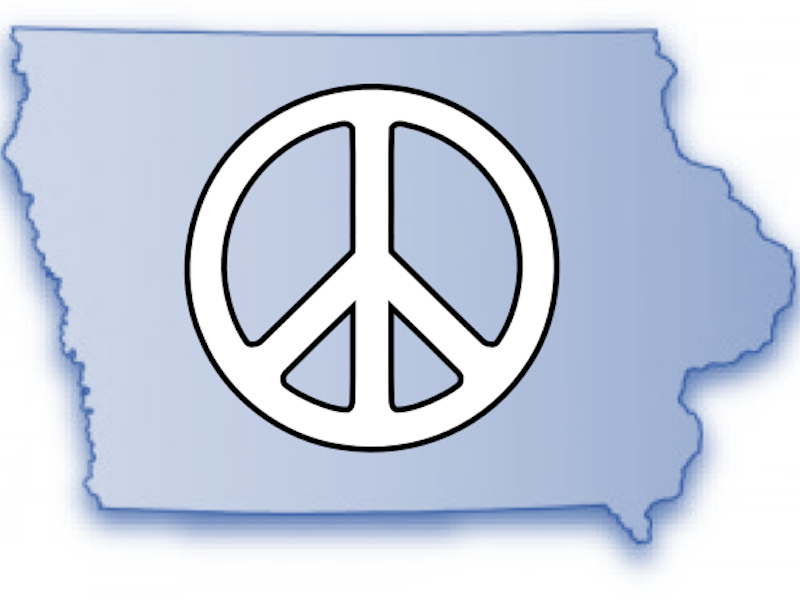 A directory of eastern Iowa and statewide organizations that focus on promoting peace. 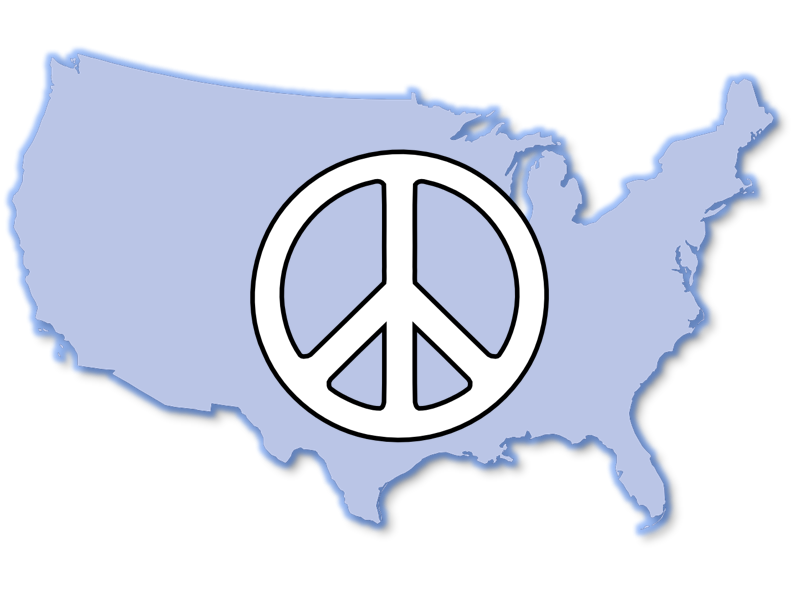 A directory of national organizations that focus on promoting peace. Other ways to serve your country, see the world, get money for college, and gain job skills. Military recruiters and ads promise a lot. Before you join, take a good look at what you're getting into.